If you know you want to work with a wedding planner for more than just month of coordination, hire them to help you select the venue. Finding the perfect venue for your wedding is one of the hardest parts of wedding planning. 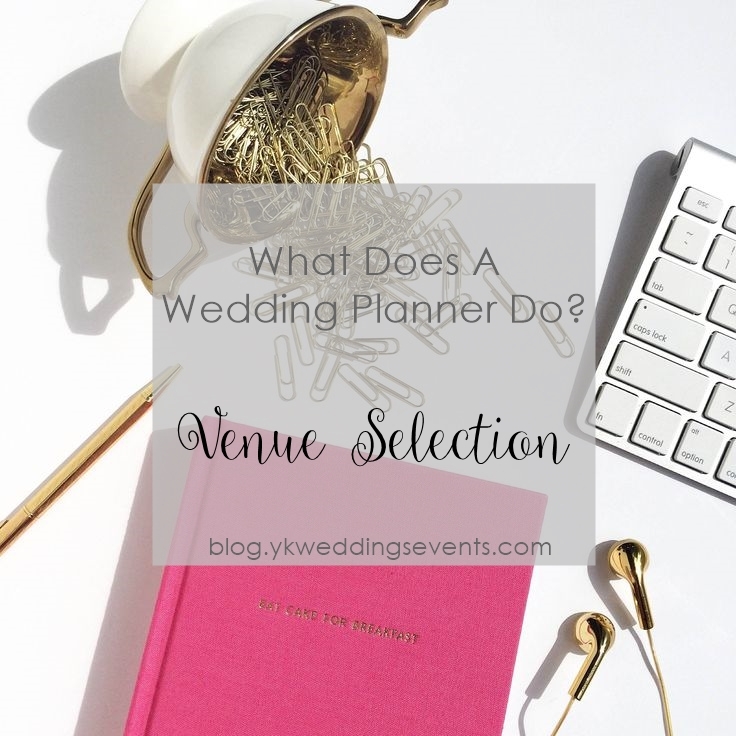 Selecting the right venue sets the tone for the rest of the wedding. Are you wanting an outdoor wedding? Hotel wedding? Loft wedding? The options are endless, but the hours spent researching are not. Finding the right venue can easily become a second full time job. Here’s how a wedding planner could shorten that time frame: We would sit down and talk to you about what overall feel you want for the wedding, any specific religious or cultural items that are needed as well as overall budget for the venue and food / beverage. Then, we would reach out to the best venues for your wedding based one style, budget, capacity, and any other restrictions. Usually, we like to provide about five of the top venue suggestions to our clients. From there, we’ll attend all meetings with the venue managers as well as help navigate the agreements with you. What does the rental agreement include? Is it just the room or does it come with tables and chairs? Who is on their preferred list? Are there are variety of vendors or are most putting you at the very top of your budget? Are they in the process of being bought out as a new venue? How does that affect your wedding? Having trouble hearing back from the venue manager? It happens! We’ll track them down, and get everything sorted out. Having trouble making a decision that is best for both families? We’ll help you weigh the pros and the cons of every venue, so you can make the best decision for everyone.